A new privacy-enhancing web browser aimed at Apple users has steadily risen in popularity in the company's App Store. The "Onion Browser," built by Mike Tigas, uses The Onion Router (TOR) network, a system originally built by the U.S. Naval Research Laboratory that routes browsing traffic worldwide through a network of servers. The Onion Browser is compatible with iPhones and iPads running iOS 5.0 and higher. Tigas, a web developer with the The Spokesman-Review newspaper in Spokane, Washington, wrote since the application went on sale last week, it hit number one in the rankings for paid utilities for the iPad and iPhone last Thursday and Friday. The browser is useful for people who want to maintain greater privacy. 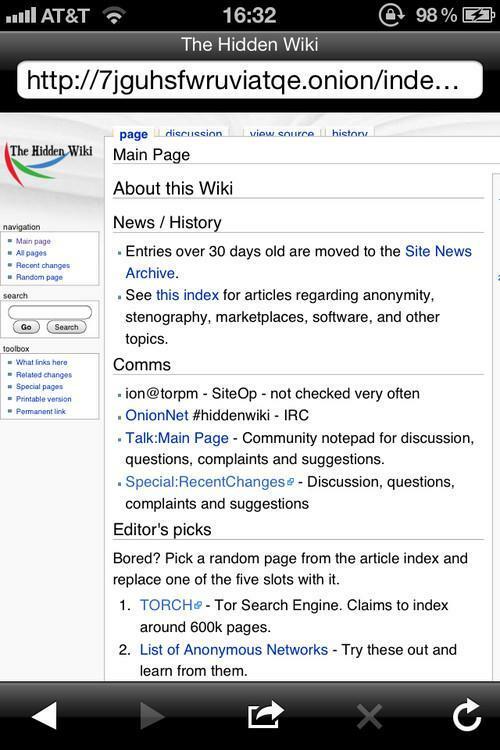 Web sites visited using the Onion Browser will not see a user's true IP address. Web traffic is also encrypted, which prevents an ISP from recording sites that have been visited, and the traffic usually can pass through firewalls configured to try to block certain content. Since TOR routes traffic through many other servers, web browsing is slower, however. Tigas has also built a feature into the Onion Browser that allows the user-agent headers to be spoofed, which contain information about a person's operating system, version numbers for plug-ins, system fonts and even screen size. Tigas has also allowed for a customized policy of how to handle cookies, such as blocking all, allowing all or blocking just third-party ones. Cookies are small data files stored within a browser which enable data to be read by websites at different times in order to recognize users, but are also used for long-term tracking purposes. Another feature in the Onion Browser, a button called "New Identity," will clear cookies, a person's browsing history and cache and will also change to a new IP address. The application costs 99 cents. Tigas said he will donate 10 percent of the proceeds to the TOR Project and the Electronic Frontier Foundation.